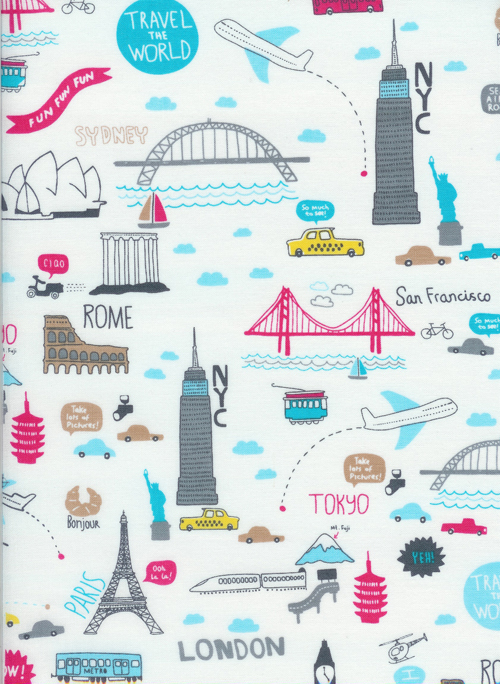 We got a surprise shipment of two colorways of the print called Travel The World, and it's just so darn cute! 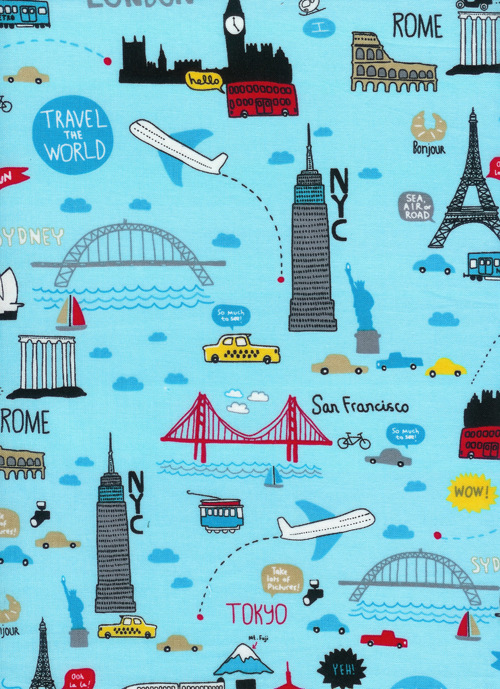 Wouldn't this make the most adorable travel pillow for kids?! No-I think it would make an adorable travel pillow for me!!!!! Your right about the pillow but I'm sure my girls wouldn't sleep for looking at the pictures - too cool! I love the one with the white background. So cute.